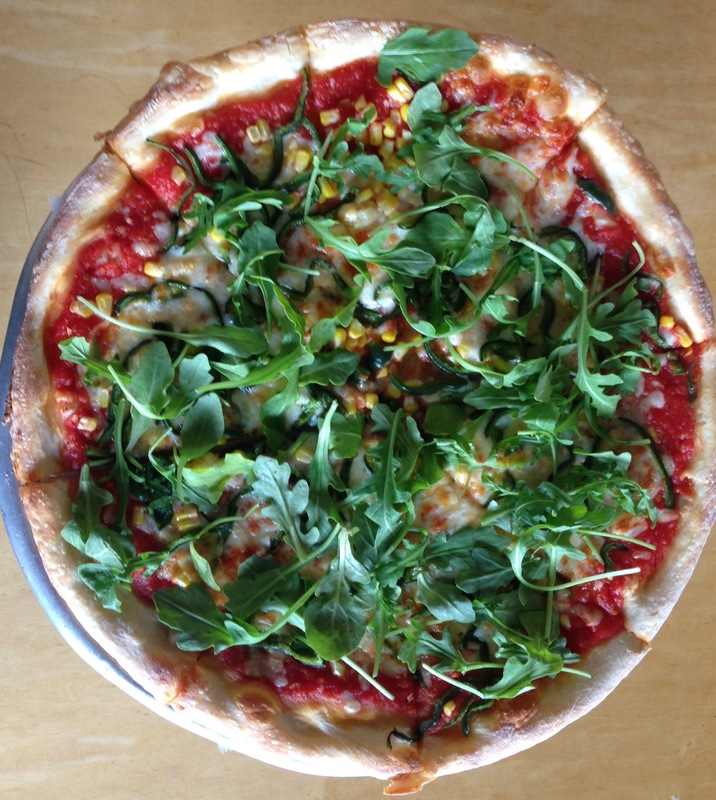 My husband and I are as fond of Arugula as anyone else is – but neither of us had ever had it on a pizza before. Interestingly (to me, since I don’t know how to cook – and my husband seemed bemused at my surprise, since he does cook), the chefs added it after the pizza had been baked. So it kind of felt like a (substantial) garnish. I guess if they hadn’t done that, it wouldn’t have worked out too well. But I was all prepared for something warm and wilty, like spinach. The singing. Blythe Danner was fantastic at that, and I thought she did a great job acting in the film. The fact that her character was always asking for, offering, and drinking wine. The pool guy (not your typical one, but I thought he was sweet, and I wanted the best for him). Sam Elliott was great, too, and well cast, but I’ve always been kind of 50 – 50 on him, for some reason. However, I thought all the actors were well cast. The dialogue, for the most part. In one scene, there was a much needed reference to an imaginary guy named Alphonse that I thought was particularly funny. In short, it was sad – sadder than I thought it would be. I felt for Carol (Blythe Danner) and wanted her to find happiness. What she decided on at the end just didn’t quite do it for me. I’ve read that some people found the movie touching, even witty, and I didn’t think it was a bad movie. But I didn’t enjoy it as much as I had hoped I would. Maybe it’s like Arugula, in that you kind of have to be in the mood for it. And you might just love it.